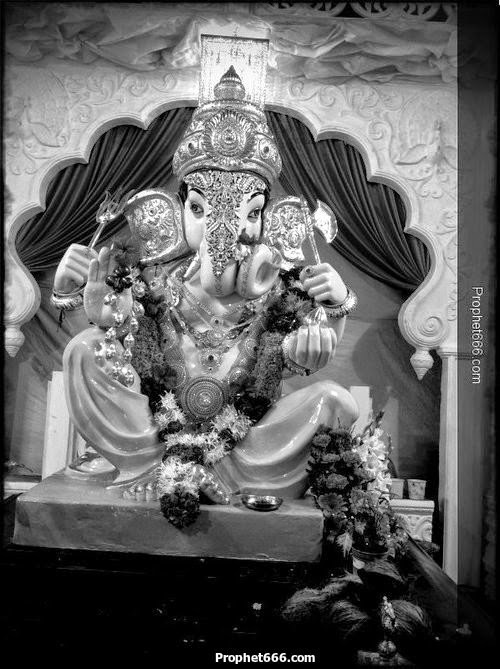 There is a extremely strong belief amongst Ganesh Bhakts that if there are any kind of obstacles in getting married or problems in love marriage due to any kind of opposition, including family pressures or if there are marital problems or differences, then having a Darshan of the idol of Ganesha at the Titwala Ganesh Mandir, resolves these problems and obstacles. This Siddhivinayak Mahaganapati Mandir is located in Kalyan Taluka of Thane District in Maharashtra. In the same manner going on an Ashtavinayak Yatra is also considered extremely auspicious. The Ashtavinayak Yatra comprises a pilgrimage of the eight Ganapati Mandirs, all located near the city of Pune in Maharashtra. This Yatra can be comfortably completed in a couple of days. In the same manner, having Ganesh Darshan at a Ganesha Mandir or even a photo or Murti of Ganesha at home in the morning is an auspicious beginning to the day. This is also fruitful for the marriage aspirants.